These women are my heroes and they are so full of courage, determination, love and hope… and they have said “YES!” to finally doing something for themselves, for their own self-care and wellbeing. I feel honored and so grateful that they put their trust and confidence in me and this special little program, “Retreat to Tuscany”. As I stare out the window and watch Seattle get smaller in the distance, I picture the individual faces of this next group of women. I anticipate their warm embraces as I greet them one by one when they arrive at Villa Maddalena, our home for the next week in our little village of Montisi. Because we have spent the past 3 months together on videoconferences during our group coaching sessions, and I have had opportunities to speak to each of them individually as they prepared and set powerful intentions for this journey, I know it is no small thing that they are packing up, traveling half way around the globe and leaving their lives behind for a while, and I am so proud and inspired by every one of them. Some are going through significant life transitions, some are about to make huge breakthroughs in their careers, some are challenged with recent health issues, and some have pulled money from other resources to invest in themselves so they could enroll in this retreat experience. It is up to me to make sure they all have an amazing experience during their time in Tuscany, and are able to slow down and connect with themselves, and access that part of themselves that is so hard to access when caught up in the whirlwind of life. I think about each detail of their arrival, of their private spaces and rooms at the villa, and of the incredible experiences that await them during their week in Retreat. I feel grateful for all of the people who have helped me design and deliver this first-class, one-of-a-kind experience. It is an absolute dream coming true. I am full of anticipation and joy. I can’t wait to create new stories with this next group, witness new treasured relationships as they develop, and facilitate powerful bonds that tie. 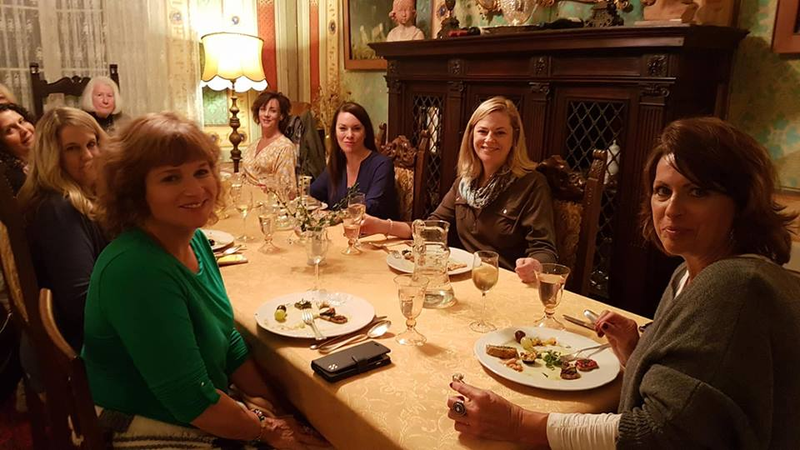 The Retreat to Tuscany Program is in full swing! I hope you will follow our adventures as we live with the Tuscans and take you through the backroads of captivating Toscana in the coming weeks. And maybe it will even inspire YOU to say “YES!” to one of our 3 Retreat weeks in 2019. Thank you to everyone who has helped to get us this far so quickly! And Grazie Mille for following our dreams.